I am trying to do a docking with an antibody molecule and its partner protein. As far as I can see, the amino acid residues are perfectly fine. 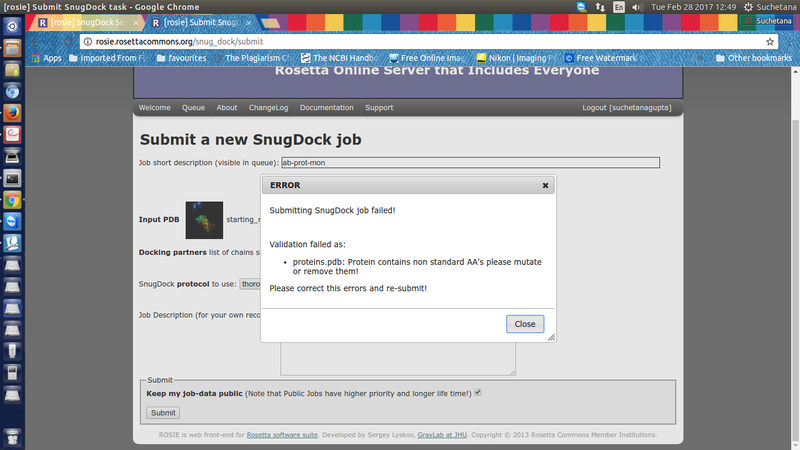 Yet when I try submitting it, I am getting an error about non-standard AA. Please find attached the screenshot of the error message. Kindly help me get through this problem. Could you host the full PDB file somewhere else (e.g. like Google Drive or DropBox), and then post a link to that here? That should get around the forum file size restriction.